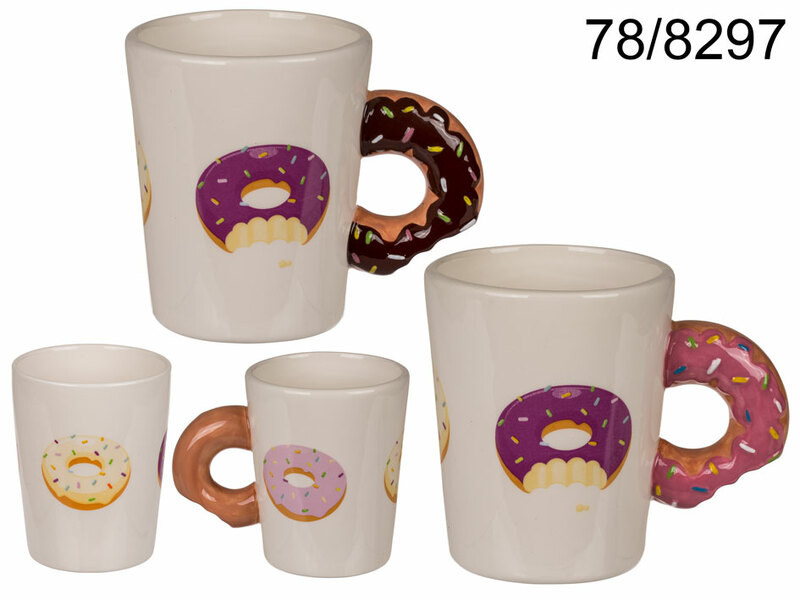 Yummy-looking mug with sprinkled donut theme - the mug is decorated with an image of a donut and the handle has the shape of a donut. Two colour versions available - chocolate and pink donut - assorted. Casual promotional item for everyone, especially those having a sweet tooth.